Visit The Spa Industry Association at booth #6822. 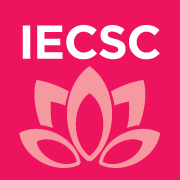 IECSC Chicago co-locates with America’s Beauty Show (ABS), which attracts more than 60,000 hairdressers, nail technicians, estheticians, salon owners, beauty school instructors and students, plus manufacturer and distributor personnel each year. The ABS show floor features 450 manufacturers and distributors of hair care brands for men and women, as well as nail care and color; tools and appliances; hair extensions and salon furnishings.